Welcome to our online Garden Store. This is where you can place your order and pick it up at the weekly delivery point in La Grande, Baker City and Pendleton. Tuesday, La Grande, at Kneads Bakery 12:00 - 3:00. Wednesday, Baker City, at Betty's Books 12:00 - 6:00. Pendleton / Hermiston to be determined. All items grown and/or processed by local farmers and artisans. A cross between the crisp Golden Delicious and the blush-crimson Jonathan. Jonagold has a green-yellow basic color with crimson, brindled covering color. heard that the ground hog said early spring and are really getting ready. Brown Eggs. 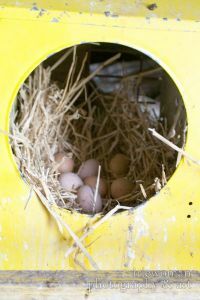 Our chickens are free range meaning we pen them up at dark so that nothing eats them during the night and let them out around noon after they have laid their eggs. They eat garden produce, bugs, grass, and NON GMO corn. Very pretty unique pepper jelly made from our own products. Amazing flavor and tastes. Ingredients: watermelon juice, hot pepper juice, sugar, vinegar and pectin.